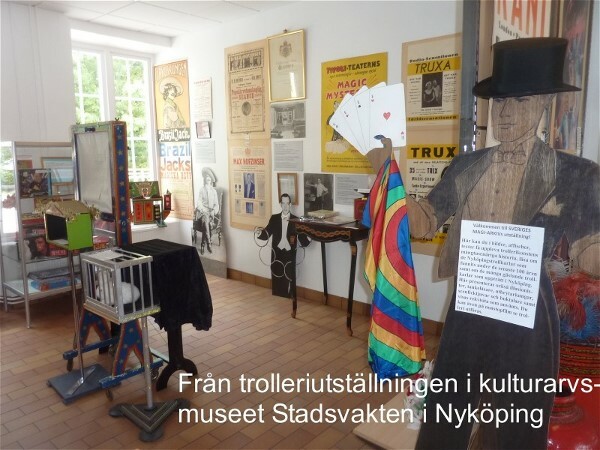 Open this book and you enter the mind of Tom Stone, one of Sweden’s finest professional magicians and one of the world’s most wildly innovative magical thinkers. Within a few pages you will be swept up and carried away by the creative whirlwind that is constantly blowing in Stone’s brain. As you are whipped from idea to idea you will be exposed to a level of professional thinking that leaves no area of magic untouched, from close-up to stage, from manipulation to psychology, routining to prop construction, presentation to stagecraft.Challenging ideas demanding thought and development vie for attention with routines honed over years of performance. Vortex is a chronicle of a full-time performer’s creative journey, with its fruits and challenges, presented with the intent that every reader will continue the adventure.Vortex cuts a swath across the entire map of magic, from close-up to platform and stage. While doing so, Stone shows how these boundaries can be crossed, taking effects from one venue and adapting them to play successfully in another.The material in Vortex displays a unique melding of artistic ideals with realistic professionalism, guided by many years of performing experience. 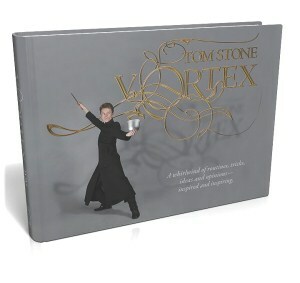 Vortex is a record of artistic and creative quests, frustrations, triumphs and introspection, made by one of the most articulate minds thinking in magic today.270 pages, 504 illustrations, in hardcover.